Try the quality service of Anderson Technologies today! You'll be glad you did! Introducing the Anderson Technologies Preventative Maintenance Program! 1. 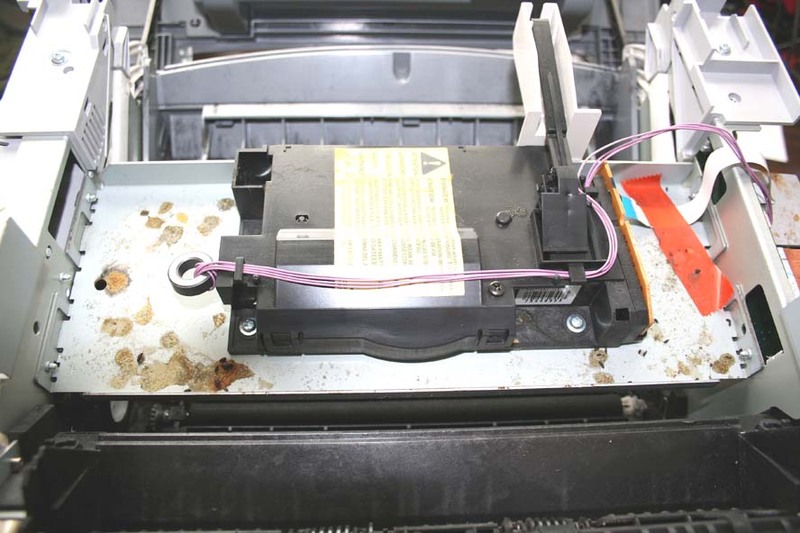 Removal of toner dust, paper lint, debris and other harmful particles from entire paper path. 2. 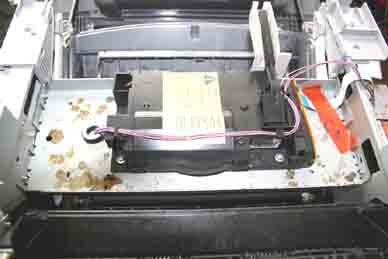 Removal clean & inspect the fusing assembly for wear and damage. 3. Replace or clean any filters. This helps keep the machine running cooler. 4. Replacement of the separation pads and rollers for all paper trays. 5. Inspection and cleaning of the pick-up roller surface, and if needed, replacement of the rollers. 6. The Scanner beam-to-drum optical path is critical to image quality. We inspect and clean it as needed. 7. 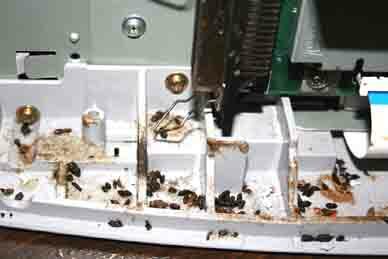 We clean and inspect your machines registration rollers which can become coated with a film of debris over time, usually causing paper jams. 8. Exit Assembly rollers are inspected and cleaned. 9. We even clean the fan and lubricate any gear assemblies. 10. We inspect and tighten or replace screws and also check the grounding straps, tightening them as necessary. loose ground straps or screws can produce a number of problems or even failure. Our inspection and testing can be performed either in our shop or at your site. On site service is charged at $80.00 per hour plus parts. Service in our shop is charged at $50.00 per hour plus parts. HP LaserJet 4/4+/4M/5/5M Fuser Assembly * $99.95 ea. HP LaserJet 4000/4100 Fuser Assembly * $149.95 ea. 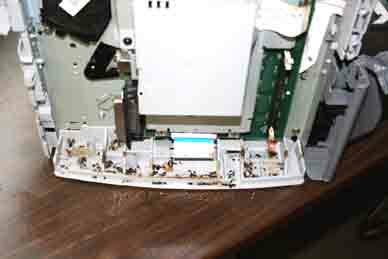 HP LaserJet 5Si Fuser Assembly * $199.95 ea. HP LaserJet 5 Paper Feed Rollers $9.95 ea. HP LaserJet 5Si/8000/8100 Maintenance Kit install * $229.95 ea. Click on picture to see an example of some of the problems we have had to fix for our customers. This particular customer noticed the printouts were smudged and wanted us to have a look to see what was causing the problem. Needless to say when we opened up the covers we were quite surprised! 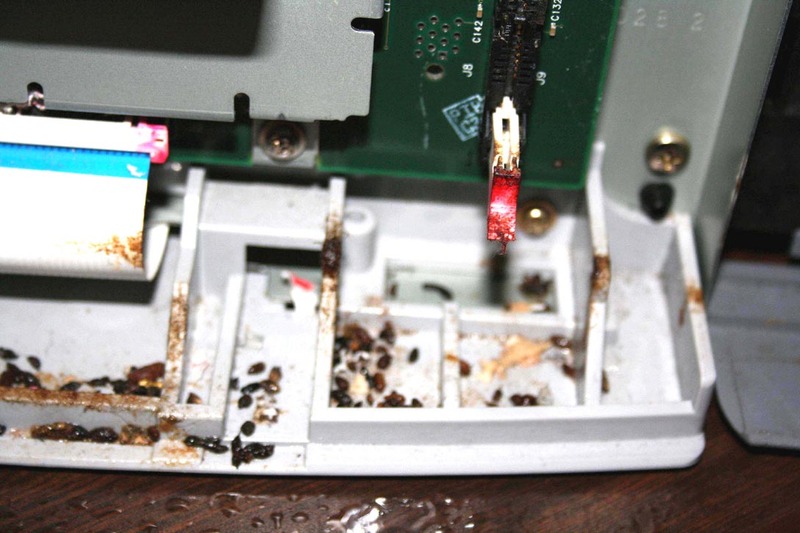 This printer had recently had a family of mice living in it for quite some time! The printer now looks and prints as good as new! Please note all brand names used are the sole property of their respective manufactures and are only used as reference or to show compatibility.